Former SDLP leader Mark Durkan has said his decision to contest the European elections as a Fine Gael candidate has the blessing of Pat Hume, wife of SDLP co-founder John Hume. Mr Durkan will try to win a seat in Dublin in the May elections. The move comes after the SDLP voted overwhelmingly in favour of a partnership with Fianna Fáil. Mr Durkan said he had informed the Hume family of his decision before making it known publically. "Pat Hume has been aware of this and certainly hasn't indicated any problem to me," he told BBC Radio Foyle. "My feeling is that I have her personal blessing because she understands the context of this election, she understands what the invitation that was extended to me by Fine Gael was about," he said. Mrs Hume is now primary carer for the former SDLP leader John Hume, who has been suffering with dementia for years. She worked alongside her husband from the beginning of the civil rights movement in the 1960s. Mr Durkan said Mrs Hume knows him "well enough to know" he is "no less SDLP" by deciding to run as a Fine Gael candidate. He said his decision to stand for Fine Gael has been driven by Brexit. Mr Durkan said he informed SDLP leader Colum Eastwood of his decision on Monday. 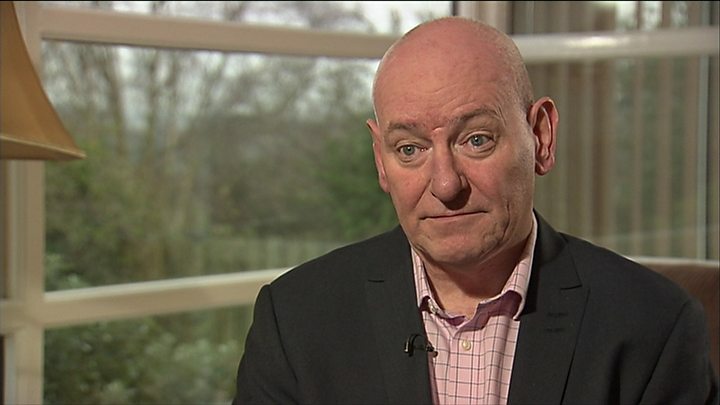 Media captionFormer SDLP leader Mark Durkan explains why he wants to be a Fine Gael MEP. "It wasn't a difficult conversation between Colum and myself, he wished me well, thought it was a good idea," he said. The former Foyle MP said he did not discuss his move sooner because he did not want it to interfere with the SDLP's decision to partner with Fianna Fáil. On Monday Mr Durkan said he was "frustrated" at the state of politics in Northern Ireland. Northern Ireland has been without a functioning executive for over two years. "At a period when we're 50 years on from the civil rights movement, we are actually suffering a collective disenfranchisement at the minute," he said. 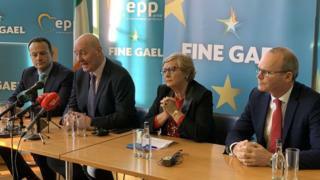 "It was a significant invitation I felt whenever Fine Gael said, 'we believe you should have a voice in the European Parliament to help and reflect the interests and perspective of Northern Ireland, but also to serve the people of Dublin as well'."